TODDLER PARENTS: Check out ‘Debbie and Friends’ on YouTube and LIVE February 11 in Long Island- Logan Loves Them! My 4-year-old son, Logan John actually found Debbie all by himself while searching in YouTube for Goldilocks (he googled it himself, true story) and the rest is history – we’re a Debbie and Friends family, my 2-year-old daughter Kaylee loves it to. Sometimes, they’ll gently drift off to sleep after watching musical videos and songs from Debbie and Friends. 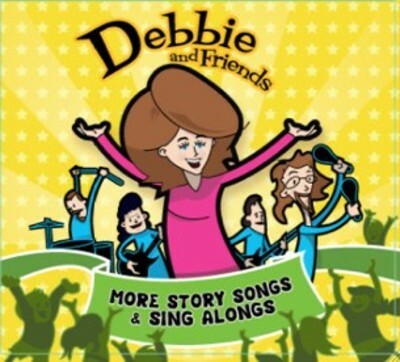 Debbie Cavalier’s is a wonderful performer based out of Massachusetts, who really has a gift in entertaining children. I bet you she gets a major television show on DISNEY or NICKOLODEAN in 2012, she’s that good and unique, a breath of fresh air for parents like us. She and her funny and adorable cartoons and animations enchanted by 4-year-old son and I’m proud to say that he and I both know nearly all of her songs by heart. I bet one day you’ll see Logan (and us) in one of her Music videos live in concert :-).